Below you will find a full list of what's included in our basic package. Please note that we also have additional services that can be added to your special day such as having a Day of Coordinator to help make sure everything runs exactly as you always dreamed. We also offer extra decor items to add to your special day. We want your day to be perfect. 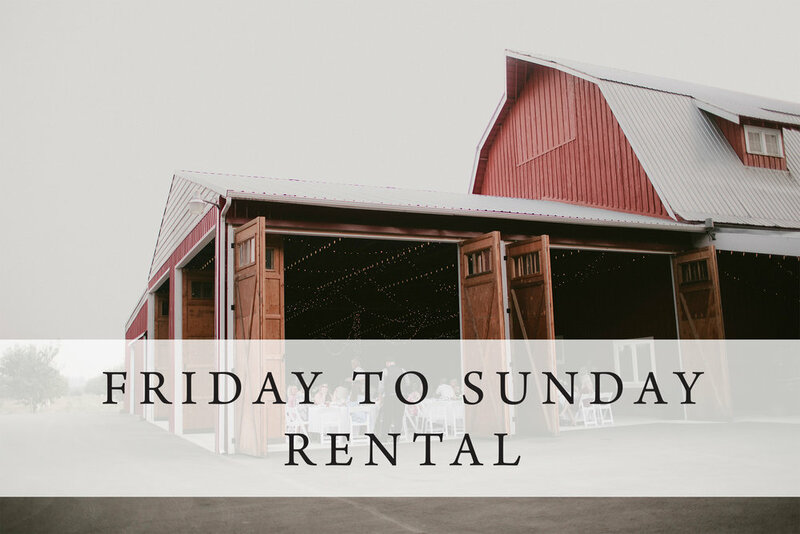 We allow you to set-up Friday and clean-up on Sunday. We require event insurance for your rehearsal and wedding at The Barn. We have white vinyl chairs with cusions and round tables to seat 200. We also have different sizes of long tables for your dessert & head tables. Our tables and chairs are only allowed on pavement/ inside. We set-up your chairs, tables and other furniture pieces. This does not include decorating, but the "grunt work" of the logistics. We also break-down these items for you. We have several wedding signs as well as wood pallets for use. We also have two wine barrels to use for your cake / dessert table. Our on-site parking is an easy walk to the barn with a drop-off loop available. We also have a gator that pulls a trailer to take guests to the wedding site. We operate this on your wedding day. We allow beer, wine and hard alcohol at The Barn. We require a licensed bartender who has liquor liability insurance. We allow beer and wine (only) to be served at our outdoor bar. We require an additional licensed bartender who has liquor liability insurance. 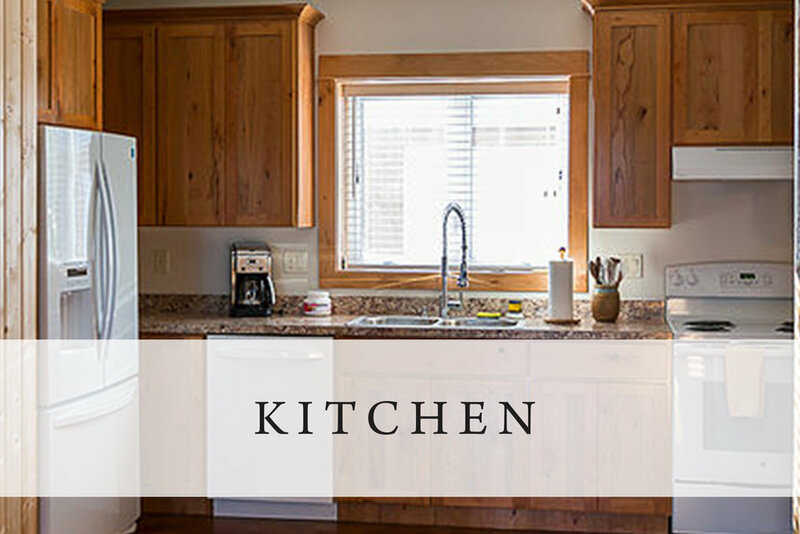 Our kitchen is a perfect work station for your caterer. We allow you and your caterer to use this throughout your event. Please note: this is not a commercial kitchen. 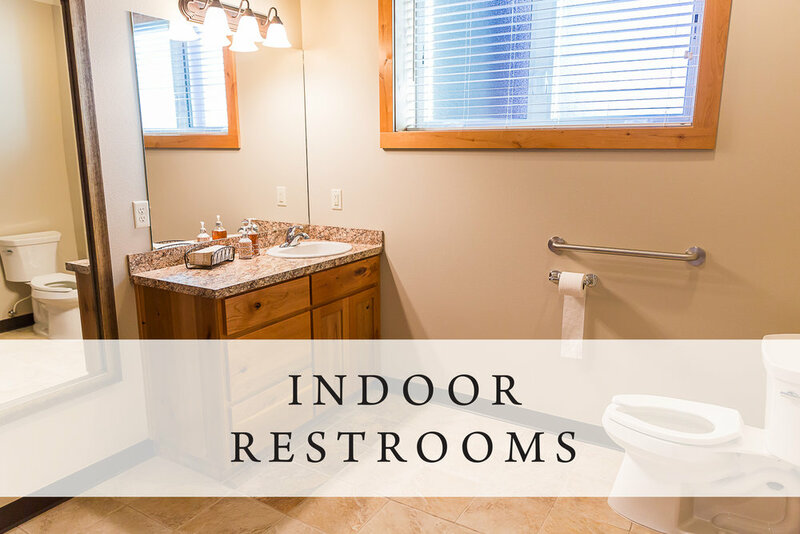 We offer indoor restrooms (men and women) for the bridal party and immediate family. Portable restrooms are required for guest lists over 60. Our bridal prep room is perfect for your special day. This includes three vanities, long mirrors and furniture to lounge on. 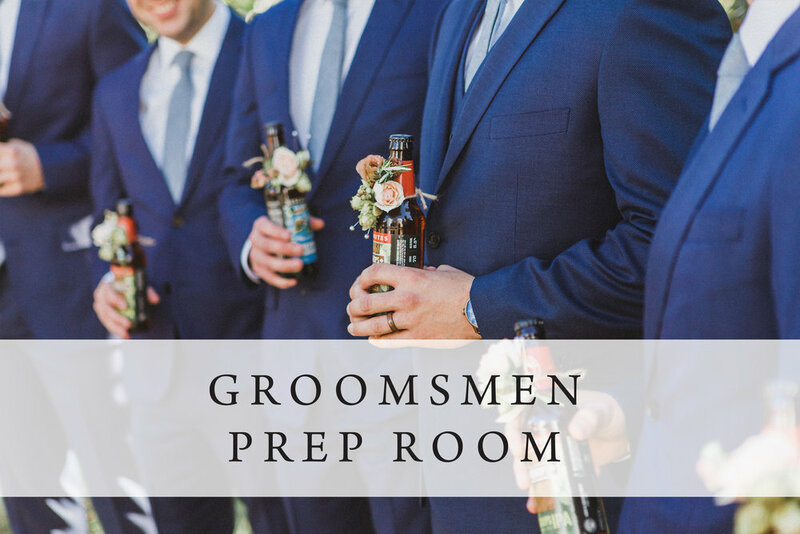 We are creating a special place for the groom + his groomsmen. Guests of the barn are able to use our beautiful fire pit! Fire wood is provided. We have lights strung inside the barn as well as in all of our outside areas. We are continuing to add more as time goes on. You will have the ambiance needed and the light available to enjoy the outside activities into the night . We offer a few yard games that you are able to play during your festivities. We set-up and tear-down for you, as well. Wine barrel tables are set-up all summer for happy hour and/or extra seating for your guests. These are not allowed to move. Our property offers many areas that you and your bridal party may use for pictures. We are able to take you to these sites during your wedding weekend.